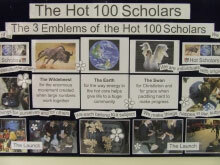 Hot Scholars is a big group for positive and enthusiastic students which originated at Christleton High School, Chester. Now firmly established, we are very pleased to be able to say that Hot Scholars has now spread to other schools as well. It is all about acting and learning independently and being listened to and known as an individual. As a Hot Scholar, you will belong to a subject and make things happen within that subject. You will be an active citizen who does things for yourself and for others. Students apply to become Hot Scholars in a subject they love. 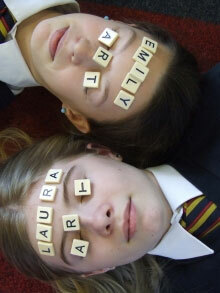 They can apply independently or with friends. During the course of 12 months, they carry out at least 6 exploits which include new and challenging learning experiences. Exploits are recorded on a card and, when filling in their cards, students reflect on what they have learnt as a result of their experiences. When the group was launched, new Hot Scholars considered how even those who feel small may have big ideas. We looked at the ways in which working together in groups can help us all to put our big ideas into practice. As well as independence and an individualised experience, enjoyment is important in this group!